If you like straight up Twitter clients with a ton of features, you can’t go wrong with the newcomer MeTweets (hopefully you picked it up for free recently). 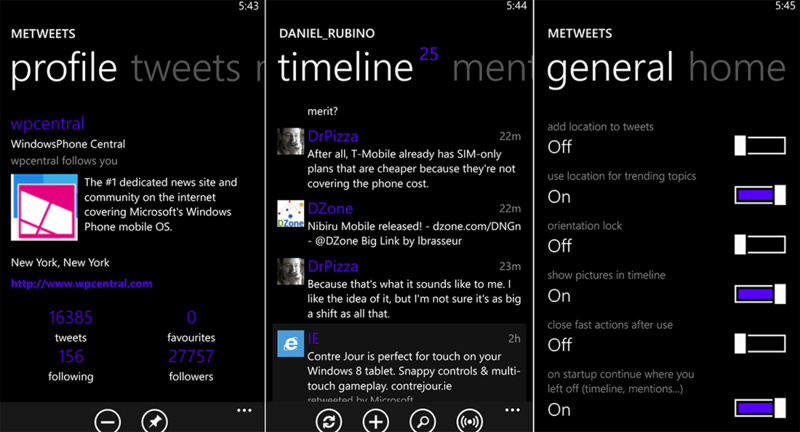 The app has quickly become one of our favorites for its no-nonsense, Metro UI take on Twitter for Windows Phone. Version 1.2 just came on to the Store and it has numerous fixes and new features for Windows Phone 7 users and if you’re on Windows Phone 8, you get quite a few too. Not a bad set of updates. We should also mention that for Windows Phone 8 you do get the rapid resume feature too, which means when you tap the Live Tile after already having done so earlier, the app does not re-launch but instead resumes from where you left off. Scrolling is also much smoother now due to the Windows Phone 8 API enhancements and dual-core CPU support. And for you HTC 8X owners, the full 720P ratio is supported now too, so no wasted space. Regarding the lockscreen notifications, you can use the counter or the billboard feature, which will show your messages right on your Lockscreen. Of course you could also use both for the ultimate in Twitter awareness. Overall, MeTweets is a solid app. Sure, it may lack personality but it’s simple to use, smooth, fast and easy on the eyes. 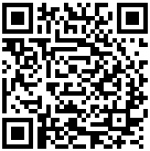 MeTweets goes for $1.49 in the Store with a free trial here. Highly recommended.